Geras Solutions is a Stockholm-based provider of solutions to a dementia risk assessment. The Geras application helps individuals prevent, treat and manage dementia. It is presenting special ICT/mobile health tools, thus allowing users to get in touch with a dementia certified specialist and receive tailored advice. The video call option affords an opportunity to talk face-to-face to a nurse for an initial consultation and set a video appointment with a specialist physician to talk through the results of the digital cognitive test the user has to take before the consultation. 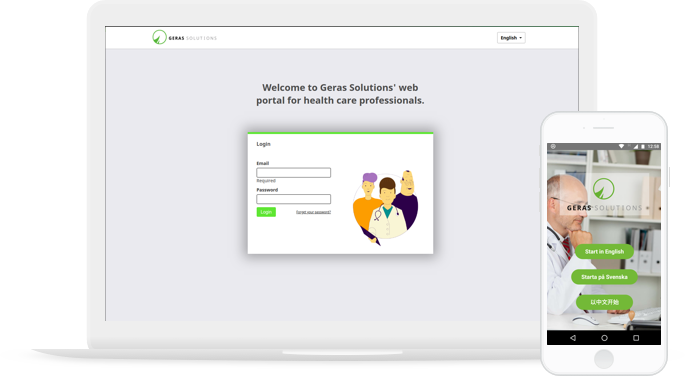 After a patient enters personal details, provides an overview of the symptoms, completes the initial questionnaire and all the necessary tests, the Geras app can get the medical history, made as an online file, updated. Meanwhile, concerned users can keep record of their diet, physical and social activities by themselves receiving the support and guidance they need via the application. Geras Solutions reached Vilmate for assistance in developing the back-end of their mHealth application, which focused on the care of people living with dementia and those who belong to the risk group, and the web application to be used by the medical staff – nurses and doctors. Since a mobile version of a client’s application was built and tested in house, the Vilmate’s task was to architect a web app and a backend server from which both Android and iOS applications would retrieve data. For implementation of the project, Vilmate put together a team of 1 Backend developer and 1 React Native developer. They both remained involved with the project throughout key stages until it was brought to the stage of commissioning. The software has not yet been released. Currently, the usability testing phase is underway, and it took the team 4 months to reach it. The server-side, or back-end, development and testing was performed by our in-house specialists. 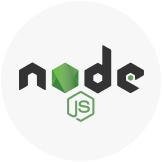 We implemented server-side authorization as a means for acquiring access to user data, so that it can provide useful information helpful in monitoring back-end performance. Within a four-month period, the team managed to build not only a mobile backend but also a web app for the client to run it in a browser. The team and its involvement were central to successful project implementation. Having accurately estimated the necessary effort and calculated the expected time, Vilmate developers delivered the product to the client meeting all the requirements. The team provided the mission-oriented technology solutions, laying the foundation of engaging mobile experience.